Replace "customtext" with placeholder text of your choice. 2. In the SSL Certificate field on the shopping cart page, choose No SSL Certificate. SSL certificates are only necessary for live stores that accept customer registrations and orders. Since you cannot make your sandbox live, an SSL certificate is unnecessary. Replace "www.domain.com" with your store's actual domain name. 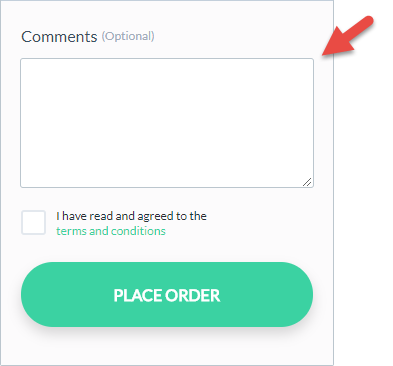 If you take this step when placing your order, there will be no fee for the mirror. If you neglect this step and later ask us to mirror a live store to your sandbox, a standard fee will apply. 4. When ordering a mirror of a live store, be sure the product limit of the plan you choose can accommodate your live store's product count, and that you log in with the same customer account you used to purchase the live store. If you use a different customer account to purchase the sandbox, you (and the owner of the other account, if different than you) will have to fill out a special authorization form. To obtain it, contact our Support team. If you prefer to have our Sales team place a sandbox order on your behalf, please reach out to us at 800-646-3517, option 2.